DETAILS: Our personalized portfolio is a business essential for any working man or woman. Durable construction and with a soft feel, this portfolio includes an 8 ½” x 11” note pad. Made of simulated suede leather that comes in a variety of colors. 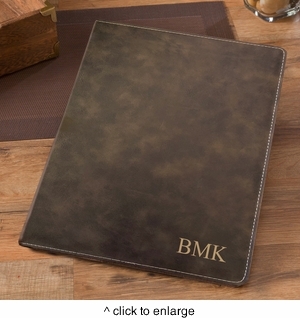 This personalized portfolio makes a great gift for a newly hired executive!